Analysis and modeling are critical for creating a solid foundation for informed decision making. Energetics provides analytical expertise in a broad spectrum of areas. Technology baselines – Defining baselines for technologies, processes, and industries. This includes energy and environmental industry profiles, energy benchmarks for the manufacturing sector, and supply chain energy consumption analysis. Emerging technology analysis – Conducting techno-economic analysis of emerging and next-generation technology. This includes economic and technical feasibility studies of advanced technologies, validation and verification of new technologies, and cost/benefit analyses for advanced renewable energy projects. Carbon and energy footprints – Developing carbon and energy flows for sectors, carbon reduction profiles for companies, product and supply chain footprints, and relative carbon impact studies for renewable and alternative energy technology. Life-cycle analysis – Calculating energy and environmental impacts from cradle to grave by considering use of energy, water, and other natural resources through the technology life cycle; emissions of pollutants to air, land, and water; and recycling and reuse of industrial materials. R&D portfolio analysis – Assessing technology research and development portfolios using technology performance predictions, projected technology adoption and impacts, and resource requirements. Economic and policy analysis – Supporting informed policy and decision making by evaluating economic impacts of subsidies and other incentives, impacts of federal programs on achieving program goals, and knowledge-building to support policy recommendations. Market studies – Assessing and monitoring market and economic drivers, using market intelligence for advanced technologies, comparison and assessment of competing technologies, international and domestic production trends, and economic and competitiveness factors. Prospective benefits analysis – Estimating the future benefits of current program activities by developing a rigorous benefits methodology, developing a benefits model and associated model input, and running the benefits model to develop benefit estimates. Risk analysis – Introducing uncertainty into prospective benefits analysis by eliciting expert opinions on technology/market advances, and running model simulations. Advanced Grid Modeling Support – Conducting research and analysis on grid integration of clean resources, advanced technologies, interoperability, and cyber security. 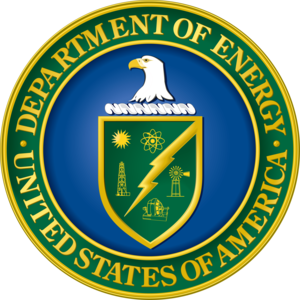 Energetics staff developed and maintained a detailed database of all comments received on the Quadrennial Energy Review (QER) and provided the client with analyses for each set of comments. We conducted outreach to QER stakeholders and facilitated numerous public meetings. Subject matters experts and technical editors teamed to support writing and editing of several QER documents.